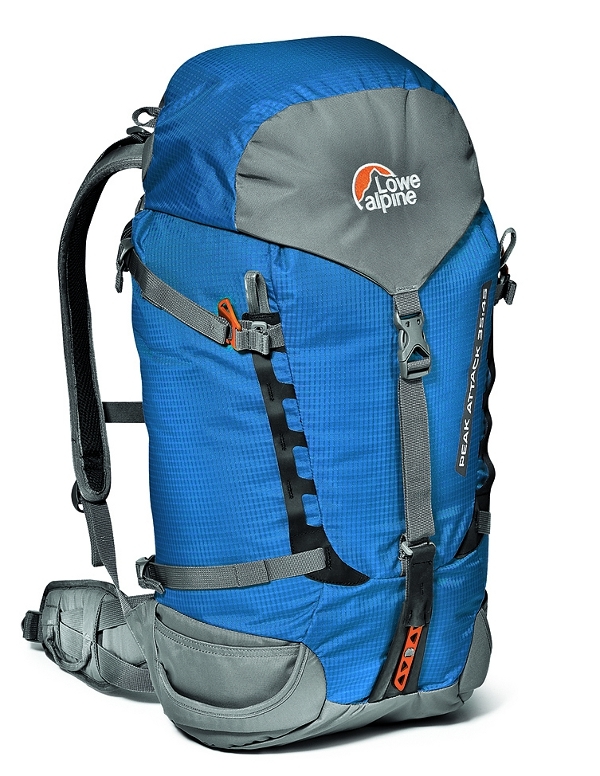 If anyone’s going to know how to create a good, solid rucksack it’s going to be Lowe Alpine. 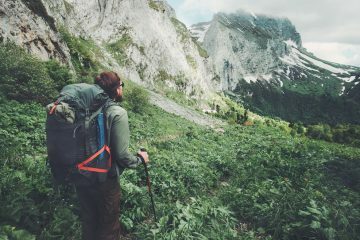 The company, which was started in 1967 by American climber Greg Lowe, made the first internal framed backsystem in the business and since then its gone on to patent other useful backpack features which we’ll see in this daysack. Again, though, it’s hit the £100 mark so we hope it meets our great expectations. 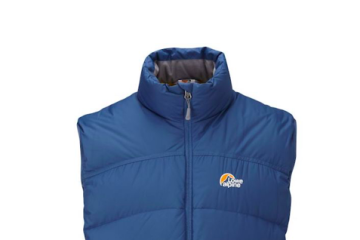 The Peak Attack is a technical 35-litre daysack that’s designed to appeal to the more extreme users on the market, for example backcountry skiers, ice climbers and alpinists. It’s got a number of useful features, some of which are unique to Lowe Alpine packs. First of all let’s go through the basics. On the Peak Attack you get a floating lid to help cope if you’ve packed it really full, an inner and external lid pocket to keep essentials close to hand, and adjustable chest straps with a whistle buckle. Moving on to the more technical aspects of this bag there’s a tuck-away hip belt to make climbing with a harness less hassle. The hip belt stows away easily (it can even be done on the move) and it also features gear loops to help hold equipment that you’d need close to hand. There’s a handy little feature called a Headlock buckle that allows you to attach any type of ice axe to your pack for carrying when not in use, and the pack’s got two side pockets for carrying water or poles, but these are perhaps a little too shallow for larger bottles. A neat thing on this pack is the ability to hold a pair of skis, making it ideal for ski mountaineering. The Lowe Alpine Peak Attack 35:45 is an ideal pack for those who like to via ferrata, climb, mountaineer, scramble or do winter sports, but for travelling and shorter hikes it’ll be overkill – and this is reflected in the price. But for more extreme adventures, we’re looking at a brilliant, well-made pack. Overkill for gentle walking but top notch for more extreme adventures.